January is a big month for people in Southern California to head to the snow! Whether you’re looking to stay in California or head elsewhere, you need to make sure you have the right quality gear with you to brave the snow. At Surplus Store, we pride ourselves on being a friendly neighborhood store that has all of the winter clothing for the snow you will ever need.. We know for people who are accustomed to Los Angeles weather, buying the right gear for the snow can be difficult, particularly when the citizens of the Greater Los Angeles Area aren’t used to being in those snowy conditions. But don’t worry, we’ve put together a list of reliable, name brand clothes you’ll need to stay warm. Wearing the right winter clothing for the snow will ensure you have fun and stay warm. We want to be sure that you are comfortably warm from head to toe. In this first picture we have four outerwear items, which are reasonably priced, to ensure whether you’re playing in the snow or just being surrounded by it, you won’t feel the frosty temperature. Keeping your head cozy, we sell Decky beanies (in various colors) that are perfect for winter sports like skiing and snowboarding. Finding the perfect coat for the snow is easy at the Surplus Store because we only carry the best. This particular jacket is the Pulse Ski Jacket. Using a bright colored jacket, just like with the yellow Decky beanie, provides visibility. Remember when it’s snowing outside, it’s harder to be seen (even if you’re just crossing the street). What’s great about this Pulse Ski Jacket is that it comes with a removable fleece liner, which makes it a transitional outerwear piece from Winter to Spring. Having the jacket lined with fleece, really helps with the added warmth. Plus with a removable hood (zipper attachment), it can help keep your beanie and head from wet conditions. This Pulse jacket will be the perfect addition to your winter clothing for the snow. For the bottom half, you’ll easily be protected. Our Pulse Ski Pants will keep you comfortable while also letting you move around. Wearing regular pants, like jeans or even sweats might seem like a good idea, but isn’t, particularly with snow sports. Even if you just want to have a snow fight and you’re wearing denim or sweatpants, think of how easy it is to get wet in those materials. 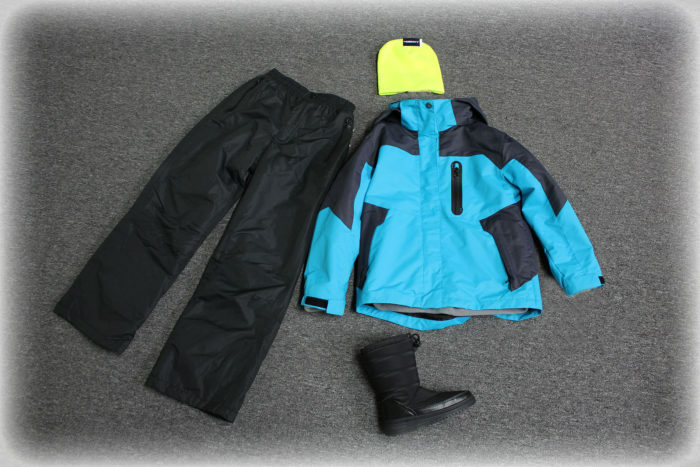 Having insulated pants, such as the ones we carry from Pulse and other brands, keeps you relaxed, warm, and dry. Naturally, another area you want to keep dry is your feet. We carry multiple name brand boots like the water resistant nylon upper Itasca Mammoth Apres Ski Boots. With a removable insulated insole, adjustable drawstring closure, and traction outsole, this tends to be a popular item at the Surplus Store during the colder months. It’s also important to remember that wearing proper shoes means a more enjoyable snow experience. Regular sneakers can’t protect you from snow seeping in and soaking your socks. Other types of boots can actually get water damage because of the snow (this is particularly true for workmen’s boots). However, with these Mammoth Apres Ski Boots from Itasca, you can’t go wrong! It’s important to be layered, so just throwing on a jacket is not going to help keep you warm. We carry cozy flannel shirts from Rothco, as well as thermals that come in a variety of colors. Wearing one of our thermals with a flannel shirt, all underneath one of our outerwear winter coats will guarantee you will be comfortably warm in the snow. 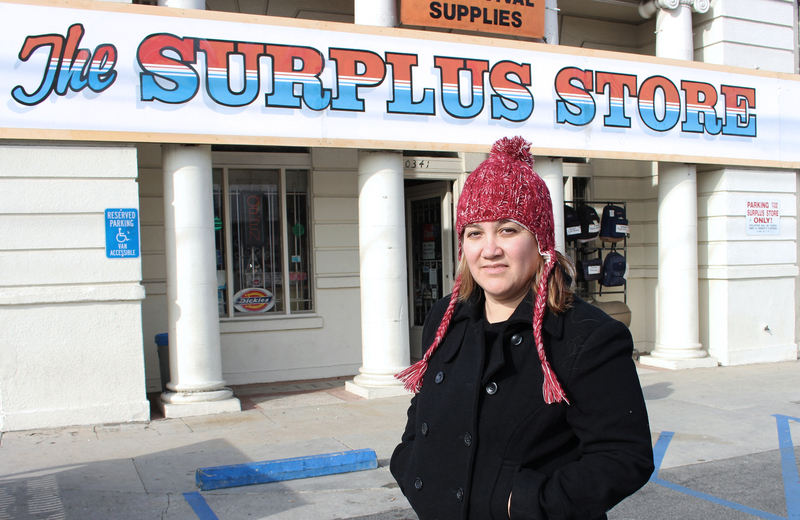 At The Surplus Store (located at 10341 Venice Blvd) we carry men’s, women’s, and children’s winter clothing for the snow, so you can find something here for the whole family. Don’t know where to go within the Golden State? Check out the list we put together below to give you some “local” places to have some fun at.